Here is CHRISTMASCAzT 28, in the Octave of Christmas. Today Fr. Troadec (US HERE (English) – UK (French original) HERE) talks about three points of meditation provided by Bossuet and Joseph Ratzinger talks about the ground of true peace: God’s glory. 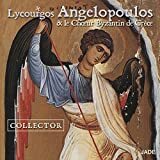 You will hear some Greek chant for Christmas, Doxastikon, Glory To God In The Highest from Petros Lambadarios by the Choeur byzantin de Grèce and Lycourgos Angelopoulos. US HERE – UK HERE You’ll hear clearly the first word: doxa… glory. This entry was posted in ADVENTCAzT, ADVENTCAzT, PODCAzT and tagged ADVENT, CHRISTMASCAzT, podcast, PODCAzT. Bookmark the permalink. 2 Responses to CHRISTMASCAzT 2018 28: God’s glory. It’s a public matter, not private. Thank you for these Christmascazts Fr. Z.
Merry Christmas, Father, and thank you for these daily podcast gifts. They are beautiful. I’ve listened each day.